1. Nograles did not have any bodyguards that got killed due to politics. 2. Paolo Duterte studied in Philippine Women's College (PWC) in Davao and not in Ateneo de Davao. 3. He was never a bodyguard to Paolo Duterte as confirmed by a schoolmate. 4. PAOCTF was abolished in 2001 and not in 2002 thus there was no such meeting. 5. Richard King was killed in Vital C office and not in McDo. 6. There is no Edgar Matobato in CAFGU list as confirmed by the Philippine Army. 7. Imagine 200 bullets riddled to a victim and still alive. 8. Paolo Duterte was taking drugs and based his statement on looks and hearsay. 9. Initially said he was a ghost employee by Davao City Hall and receives 3K per month but later changed it to 5K, ano ba talaga? 10. Initial questioning he revealed he killed 50 persons but later on he said it could be 1,000 or more, oh really now? 11. Mr Matobato said on 2003 then CHR Delima had a police operation to dig alleged graves and was planned to be ambushed (killed) but the now Senator Delima immediately corrected that it was 2009, sino ba talaga ang witness? 12. He alleged that he was a ghost employee in Davao City Hall but at the same time works at the police arm office of the City Mayor and receives monthly wage but COA and City Hall officials has already said there is no such ghost employee practices in the city, ano ba talaga? 13. His confusing statement on who brought him to the Senate to become witness, kaibigan daw nya pero di nya kilala, kilala daw nya matagal na pero bago lang, si father daw sa simbahan ang hiningan nya ng tulong; ano ba talaga koyah?! 14. 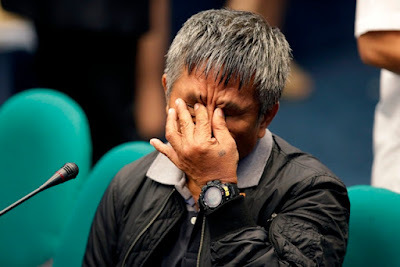 He said he does not have any cellphones, access to tv, newspapers, or radio; but... the wife of Richard King called him, but... when he was hiding in Pangasinan his unknown "friend" went to him to get him as witness; ano ba ang totoo? 15. He said he killed a certain terrorist with a name, Sali Makdum. But such name cant even be googled, ano super secret lang cya? 16. 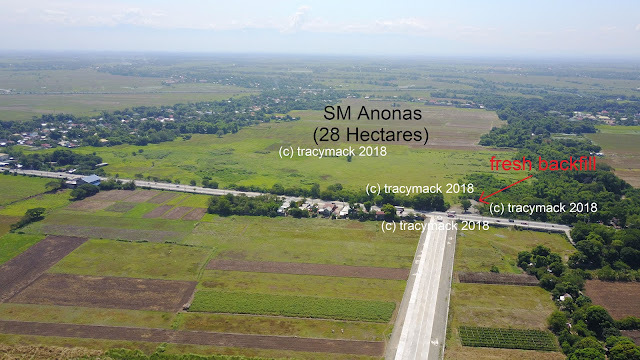 He said pinapark daw nila yung van na itim na ginagamit nila pang kidnapped sa GAISANO SUBDIVISION, but there is no such subdivision with that name in Davao, ano imagination lang? 17. He said he executed a notarized affidavit indicating all his revelations being a DDS before he took oath and became witness in the Senate, but that is another lie; there is no such affidavit. All his statement during the committee session is not legally binding but just for show. 18. He said Col. Pavo was a member of Davao Death Squad and was part of HCIS or Heinous Crime and Investigation Section. He was asked by Sen. Angara if Pavo is still alive today, and he replied, yes. FYI: Retired Col. Pavo became Brgy. Capt. of Brgy. Monteverde, and he's dead already.